December 9, 2013 Britney CrossonLeave a Comment on Win a $50 Target Gift Card! 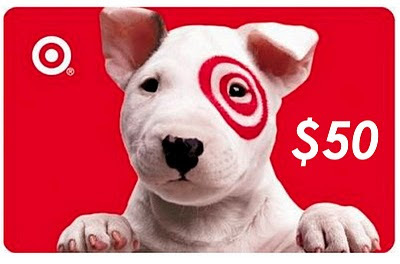 In celebration of the 2013 Holiday Season, Kind Kiddo is giving away a $50 Target Gift Card to one lucky winner! To enter, visit our Facebook page here, find the post about this contest and comment on the post. That’s it. Simply comment on the Facebook post telling Kind Kiddo why you (or someone you love) deserves the gift card. The deadline is Friday, December 13th. Remember that this is a Facebook-based contest. Entries are only accepted on the contest Facebook post in the form of comments. The winner will be announced no later than Sunday, December 15th via Facebook.